Losing one or more teeth results in a few obvious consequences. For instance, your smile’s appearance will likely be affected, though how much depends on the location of your tooth. However, there are also several things that result from tooth loss that aren’t as immediately obvious. For instance, without a tooth root where it’s supposed to be, the health of your jawbone can suffer and make you more prone to tooth loss in the future. Your teeth look more appealing when you have all of them, but having a full row of teeth is about more than just cosmetics. Your teeth rely on each other for support as you bite and chew every day. 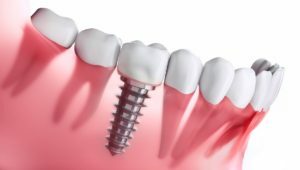 With one or more of them gone, the others can shift out of place as they try to accommodate the change in your bite pressure. A less-than-full row of teeth can also make things like biting and chewing your food more difficult. Over time, this can affect your overall health by causing you to consume less nutrition. 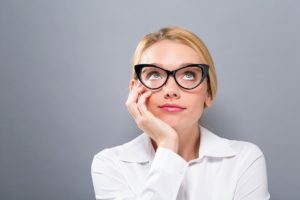 In addition, missing teeth can make it more difficult to enunciate your words clearly as you speak, which can have several negative impacts on your social and professional life. The part of your tooth that you can’t see – the root – is as vital to your oral health as it is to the tooth that it supports. When you bite and chew, the stimulated root signals your body to send your jawbone ample nutrients. The loss of the root results in a drop in stimulation and a resulting drop in nutrients that can result in your jawbone gradually losing mass and density. 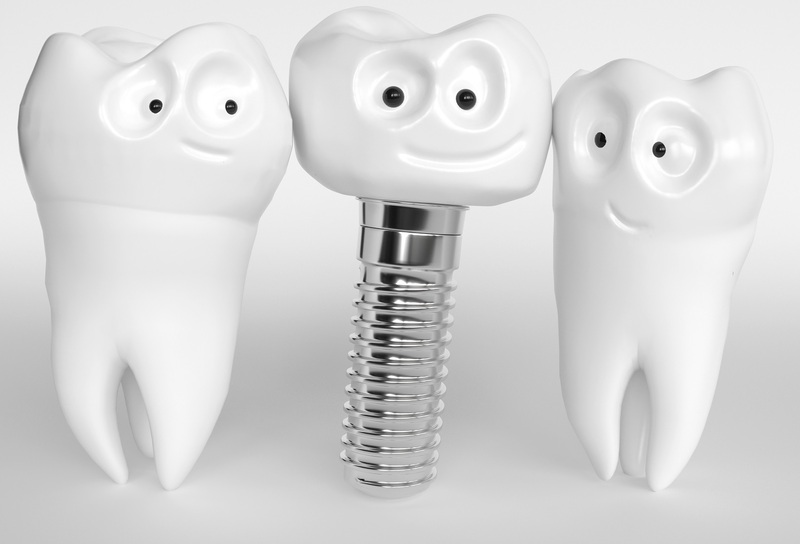 There’s more to losing teeth than you might realize, though you can do more to save your smile by replacing them with lifelike dental implants. For more information, schedule a consultation by calling Modern Smile in North Hollywood, CA, today at 818-763-9353. We also proudly serve patients who live in Burbank, Toluca Lake, and all surrounding communities. At some point, nearly 60% of adults will lose one or more teeth for a number of different reasons. Because it’s so common, many people believe that they’re destined to lose teeth eventually. However, it doesn’t have to. Tooth loss may be a frequent problem, but in most cases, it can be prevented with proper care and maintenance from the dentist. Today, we show patients in North Hollywood, CA, how to boost their chances of preventing tooth loss by improving certain aspects of their dental health and hygiene routines. Most people know that they should take their hygiene routine seriously, but not everyone sticks to that routine. Missing a beat can lead to over accumulation of harmful oracteria, which lead to issues such as gum disease (the lead cause of adult tooth loss). Consistently good hygiene helps control this bacteria buildup, and therefore, your risks of losing teeth due to gum disease. 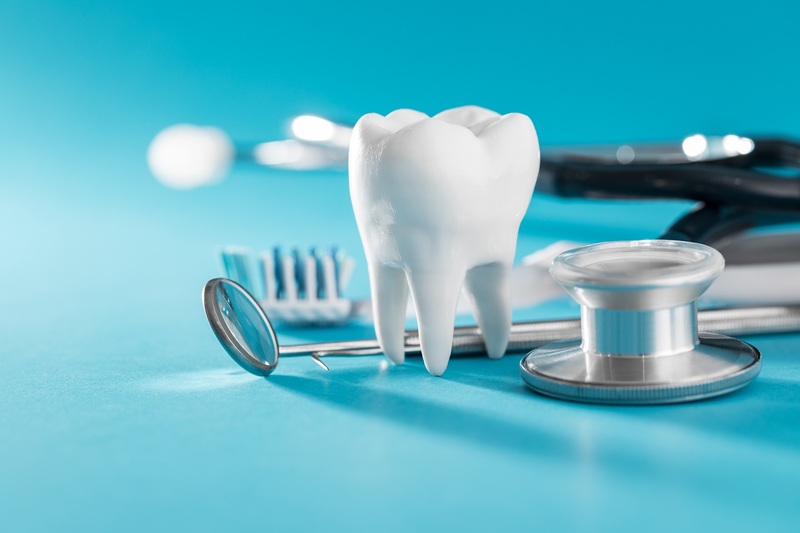 Besides oral bacteria and the dental diseases they can cause, other risk factors for tooth loss include improper bite alignment, a tendency to grind your teeth consistently (bruxism), and other conditions that could threaten the integrity of your teeth. 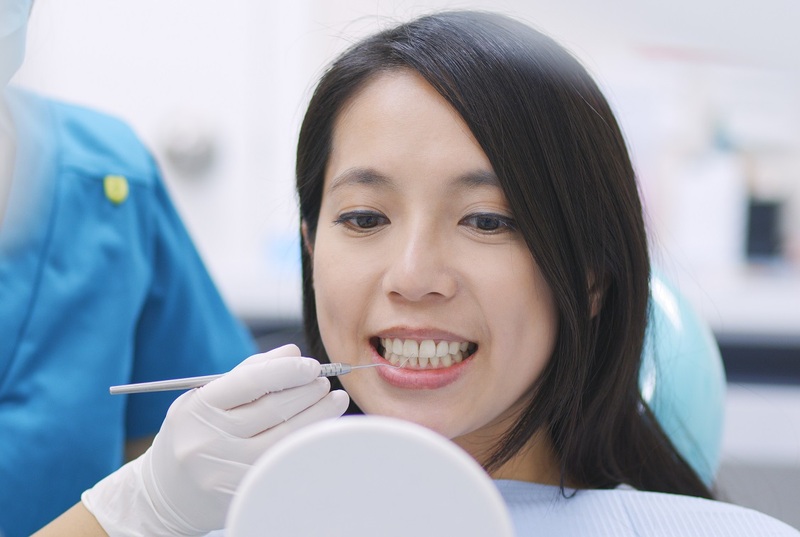 Keeping up with regular preventive dental visits will give your dentist the chance to thoroughly assess your specific risks of tooth loss and address them to preserve your smile. Once you know your risks, you and your dentist can team up to keep them under control and mitigate the threat of tooth loss. For example, if you develop gum disease, then a consistent schedule of periodontal cleaning and maintenance can help you control it before it causes enough damage to lead to tooth loss. Tooth loss is common because there are many different factors that contribute to your risks. By understanding these factors, however, you can significantly improve your chances of preventing it. For more information, schedule a consultation by calling Modern Smile in North Hollywood, CA, today at 818-763-9353. We also proudly serve patients who live in Burbank, Toluca Lake, and all surrounding communities. 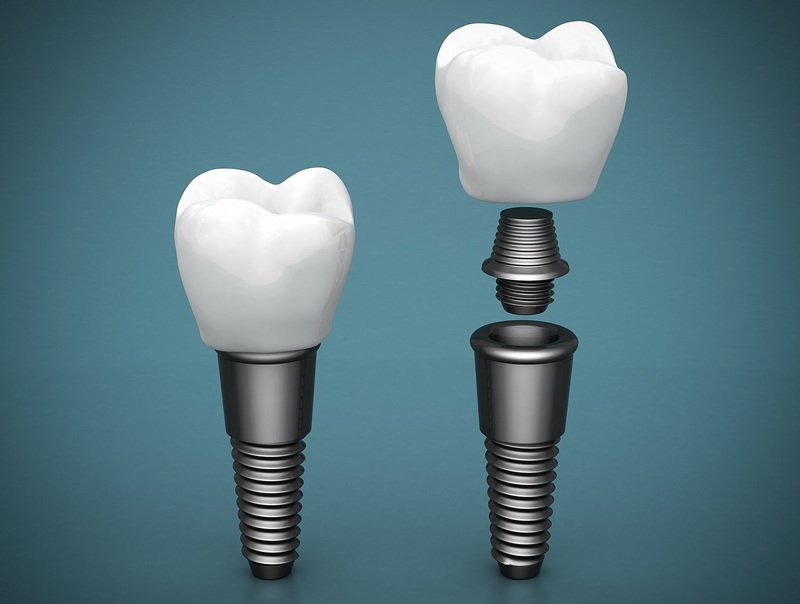 Ever since dental implants became routine solutions for replacing lost teeth, patients can rest easier knowing that they have a lifelike way to rebuild their smiles if they experience tooth loss. 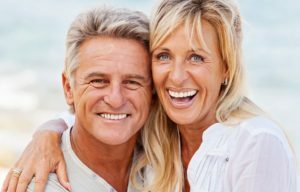 However, many people still mistakenly believe that tooth loss is inevitable, especially if older members of their family have experienced it. Today, we examine the most common reasons why people lose teeth, and how patients in North Hollywood can avoid it by addressing these issues early. Gum disease, or periodontal disease, is the leading cause of adult tooth loss. That’s because as it progresses, the disease destroys the tissues and structures that your teeth rely on for support (i.e., gum tissues, periodontal ligaments, and jawbone). Fortunately, you can prevent gum disease or control it in its early stages with periodontal cleaning and a more effective hygiene routine. Besides gum disease eroding your supportive structures, teeth becoming severely infected is another reason why they’re often lost. In many cases, the infection (known as tooth decay) is detected and treated long before the tooth is lost. 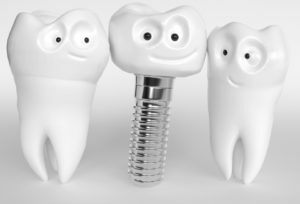 However, in severe cases, or when a tooth is fractured enough to expose its nerves and tissues, internal decay can become serious enough to force the need for tooth extraction and replacement. Even if you do a great job of keeping your teeth and gums and healthy, you might still experience tooth loss due to accidental trauma or a dental emergency. For instance, if your tooth is knocked out of its socket or too damaged to repair, then you might not be able to avoid tooth loss. However, you can rebuild your smile with a lifelike dental implant restoration to lower your risks of losing more teeth. Tooth loss may still be common, but the frequent causes behind it can usually be prevented with proper dental care and maintenance. For more information, schedule a consultation by calling Modern Smile in North Hollywood, CA, today at 818-763-9353. We also proudly serve patients who live in Burbank, Toluca Lake, and all surrounding communities. Given how often it occurs, it’s natural to assume that tooth loss is something you’ll have to deal with at some point in your life. The truth, though, is that tooth loss isn’t something that’s destined to happen. In fact, the most common causes of tooth loss are preventable, and even if you’ve already experienced it, you still have a good chance of preventing tooth loss from occurring again with the right care and maintenance. Today, we examine a few ways you can avoid tooth loss with help from your North Hollywood, CA, dentist. Dental hygiene seems simple, but it’s the most important thing you can do to prevent tooth loss. For example, the most common reasons for tooth loss – gum disease – is caused by excessive plaque and tartar buildup. The harmful oral bacteria that form these films continuously attack your gums, causing them to erode and pull away from your teeth. Better hygiene means a better chance at preventing gum disease, and therefore, a better chance at avoiding the tooth loss that could result from it. Besides gum disease, extensive tooth damage and infection (decay) are also common reasons for tooth loss and the need for tooth extraction. If you catch yourself grinding your teeth during the day, then make a conscious effort to stop. Placing the tip of your tongue between your upper and lower front teeth can help. However, if you suffer from bruxism, then you may need the assistance of a custom-designed oral appliance from your dentist. In addition to keeping up with good hygiene and preventing yourself from grinding your teeth together, protecting them also requires visiting your dentist regularly and following his instructions carefully. Regular cleanings ensure that your teeth and gums stay free of plaque and tartar, and routine checkups (dental examinations) will ensure that no issues are currently present that could cause trouble down the road. Tooth loss might still be common, but that doesn’t mean it can’t be prevented. To learn more about how you can prevent tooth loss, schedule a consultation by calling Modern Smile in North Hollywood, CA, today at 818-763-9353. We also proudly serve patients who live in Burbank, Toluca Lake, and all surrounding communities. Tooth loss can often seem like it’s bound to happen, but like most dental issues, it can actually be prevented. In fact, thanks to advanced dental health care and treatments, many patients successfully avoid tooth loss altogether, preserving their healthy, natural teeth for life. For patients who avoid losing teeth, the secret is preventing the issues that lead to tooth loss – most notably, gum disease. By keeping your teeth and gums consistently healthy, addressing any dental issues that develop as soon as possible, and acting on your dentist’s recommendations, you have a good chance of preventing tooth loss, as well. How Do Most People Lose Teeth? Gum disease is the most common cause of tooth loss because the chronic condition gradually destroys the periodontal tissue and jawbone structure that support your teeth. The symptoms of gum disease are not always obvious without routine dental exams. Therefore, people who don’t stick to a regular schedule visits (or a good hygiene routine) are more likely to lose one or more teeth to gum disease or some other chronic dental condition. While gum disease may be your biggest risk factor for gum disease, it isn’t the only one. For instance, if you develop tooth decay or have a significant case of tooth misalignment, then the longer you wait to address the issue, the higher your chances will be of losing one or more teeth. 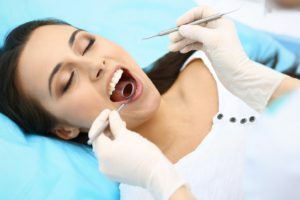 If you’ve already lost a tooth, then the resulting changes to your bite can also raise your risks of tooth loss if not addressed as soon as possible. Many people experience tooth loss to some degree in their lifetime, but not everyone has to. To learn how you can avoid tooth loss, schedule a consultation by calling Modern Smile in North Hollywood, CA, today at 818-763-9353. We also proudly serve patients who live in Burbank, Toluca Lake, and all surrounding communities.